“When two or three people come together in prayer then God is among them. And today I felt that God was among us”. With these words of affectionate welcome, Grand Master Fra’ Giacomo Dalla Torre del Tempio di Sanguinetto received in the Grand Magistry this morning a large group of priests from the Versailles diocese on a pilgrimage to Rome. “Thank you for having come here and for having prayed with us,” the Grand Master said at the end of mass in the Church of St. Mary on the Aventine, celebrated by the Order’s prelate, Monsignor Jean Laffitte, by the bishop of Versailles, Eric Aumônier and by auxiliary bishop Bruno Valentin. 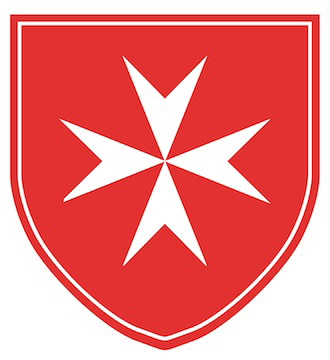 The French delegation asked the Grand Master, the Grand Hospitaller Dominique de la Rochefoucauld-Montbel and other members of the Order present for “a special prayer for the sick priests of our diocese, those present here in Rome and those remaining in France”. 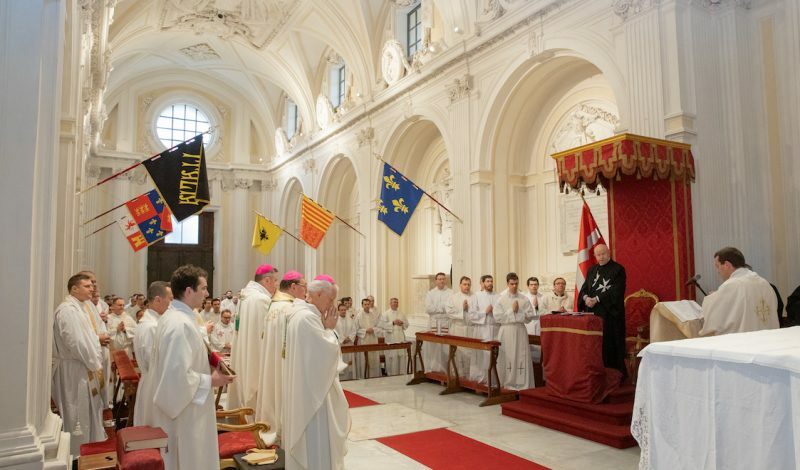 After the celebration, the Grand Hospitaller illustrated the Order’s spirit and works worldwide to the 99 French priests, accompanied by the vice present of the French Association, Alain de Tonquedec. He then recalled article 2 of the Constitution that defines the Order’s purpose and recited the Knight’s prayer where he asks to “practice charity toward others and especially toward the poor and sick”.